“If the book we are reading does not wake us, as with a fist hammering on our skull, why then do we read it?…A book must be like an ice-axe to break the sea frozen inside us.” So says Eugene Peterson, quoting a letter written by Franz Kafka, in The Pastor: A Memoir (HarperOne, 2011, p. 90). Peterson, a Presbyterian pastor, theologian, Bible translator and author, has written over 30 books, and is best known for his Bible translation entitled The Message (published by NavPress in a variety of formats). I began reading Peterson’s work when I began seminary in 1989. I have been reading it ever since. I am doing some research right now. She bought it, thinking it would be valuable for my research. put down. Indeed, this book has awakened me; it has served as an ice-axe to break the sea frozen inside me. Not to put too fine a point on it, but reading this memoir has renewed my passion for the pastorate. There’s something about reading the writing of Eugene Peterson – any of his writing – that puts one in a different place spiritually. If I can’t meet with my spiritual director, reading Peterson comes in a close second. 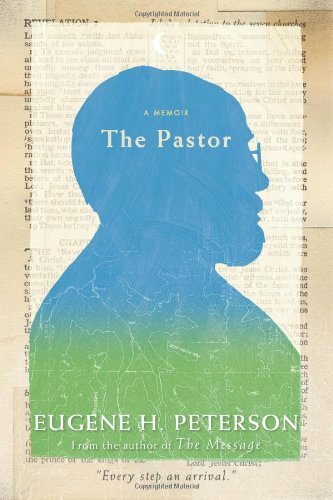 This book traces the life of this spiritual giant among pastors from his earliest days growing up in Kalispell, Montana, through his discernment of a call to pastoral work in New York, to his near-thirty-year tenure serving the congregation he planted, to stints at teaching in Pittsburgh and Vancouver. He tells many short stories, and a few long ones. His family plays a key role in the story of his life, especially his wife, Jan. She had wanted to be a pastor’s wife from her earliest days, and it is a vocation that she has lived out well. Her husband describes her role as “hanging around this intersection between heaven and earth and seeing what there is to be done” (p. 194). Both Peterson and his wife made the focus of their ministry drawing people into God’s story through relationship. As he describes his ministry, it would be easy to see how many would have loved having him for a pastor. part of the book I found a bit difficult to swallow came near the end, when he described his appointment to Regent College in Vancouver to teach Spiritual Theology. The hostess at a bed-and-breakfast at which they initially stayed in Vancouver had greeted them with the words, “Welcome to godless Canada, this godforsaken desert” (p.
after his time here; I trust he met many Canadians who are ardent Christ-followers. He did admit, however, that he and Jan liked the company of the godless, because, in the words of Karl Barth, “only where graves are is there resurrection” (p. 313): an apt reminder that new life only emerges from where there is death. Eugene Peterson has, through his lifetime of ministry and writing, been used of God to bring new life to many who were wallowing in the dust of death. He has also been used of God to bring renewed hope to pastors caught up in the whirlwind of busyness and the tyranny of the urgent. Thank you, brother Eugene, for sharing your story, and for sharing yourself. God’s Top Ten List: Oh, %$#@! Most of us, if we’re honest with ourselves, are not perfect at keeping the third commandment: “You shall not misuse the name of the Lord.” It seems almost instinctive that, when we hit our thumb with a hammer, or something like that, our immediate reflex is to curse God for what happened. It’s part of our sin nature – and God is full of grace to forgive us when we do that. Even the substitute curse words we use – “gosh”, “golly”, etc. – can be seen as a back-door breaking of the third commandment by some. (I wouldn’t be dogmatic about that, though.) But how can we avoid it? Today’s message, based on Exodus 3.1-15, tells us that as our relationship with God deepens, our reflex action to curse him diminishes – just as our love for another person generally prevents us from misusing that person’s name. Listen to the message here – and let me know if you’d like me to pray for you over the three-month “no cursing” challenge! Talking to God: no voicemail required! Our church was given an excellent new-to-us phone system this week, thanks to a wonderful young family in the congregation whose business got a phone system upgrade. On Tuesday, a nice couple came to install the system for us. I had no idea that telephones could be so complicated! The physical installation wasn’t too bad – really, just moving wires from one PBX box to another; the phone jacks remained the same. But programming the phones was a bit more work! The system can be set up to allow it to answer every call, but because we’re not exactly an administrative hub of activity, I set it up so that we’ve got four rings to answer it before the system picks it up. And if someone happens to be on the phone when another person calls, the old voicemail system will still take a message. This got me thinking: God has no need for voicemail. Isn’t that great news? Occasionally, someone will tell me how impossible it seems that God could hear everyone’s prayers all at the same time, all over the world. And that’s a good point: to us, it seems impossible. 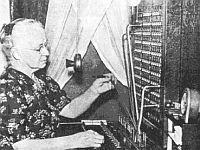 For us, it would be impossible, even with a more complicated phone system than the one I’ve just outlined. Why? Because we are finite: we have only so much capacity to receive information at a given time. But God is infinite. It is God’s infinitude that allows him to be able to do things we would find impossible, like hear the prayers of people all over the world at the very same time. But because God is infinite, he can do this, and we can be confident that he hears our prayers: “Surely the arm of the Lord is not too short to save, nor his ear too dull to hear” (Isaiah 59.1, NIV); “Know that the Lord has set apart the godly for himself; the Lord will hear when I call to him” (Psalm 4.3, NIV). So rest assured that when you cry out to God in faith, he will hear you. And in his time, he will respond with what is in your best interest, from an eternal perspective – no voicemail required! played better than the Vancouver Canucks did, and they earned it. Tim Thomas, the Bruins’ goaltender, especially deserved the Conn Smythe trophy as the MVP. I doubt Boston could have pulled it off without him. As far as that goes, I hope Thomas wins the Vezina trophy, too, as the outstanding goaltender for the season. But, sadly, most people aren’t thinking now about Lord Stanley’s Mug. They’re thinking about cars, overturned and burning, in the streets of downtown Vancouver. Be sure that the real hockey fans in Vancouver were not the ones causing these riots. These riots were planned, premeditated acts of vandalism and violence executed by people who are angry, lonely, and in much emotional pain. And my guess is that most of them have or had poor relationships with their parents. (That’s a gross generalization, I know, but I imagine it’s closer to true than most of us would want to admit.) The same was true of the riots that coincided with the G-8 and G-20 meetings in Toronto in 2010. Ordinary citizens, even those exercising their right to public, orderly protest, were not the people who sparked the trouble. I’ve noticed many people musing that they can’t understand how it is that people could bring themselves to engage in this sort of hooliganism. I have a simple response: “For everyone has sinned; we all fall short of God’s glorious standard” (Romans 3.23, NLT). There is not one of us who, given the same kinds of life circumstances faced by the instigators of these riots, would not follow in their footsteps. We are predisposed to sin, to miss the mark, to be the rioters rather than those who walk respectfully through the streets. Only God’s grace keeps us from being those at whom we cluck our tongues. city, even if their treasured hockey team could not meet its goal. They believe in their city, even when people seek to destroy parts of it. May they know it’s God’s grace, and not some notion of innate goodness. God’s grace does more than impel us to clean up messes we did not make: it leads God himself to clean up our messes – the messes we make of our lives. “God saved you by his grace when you believed. And you can’t take credit for this; it is a gift from God. 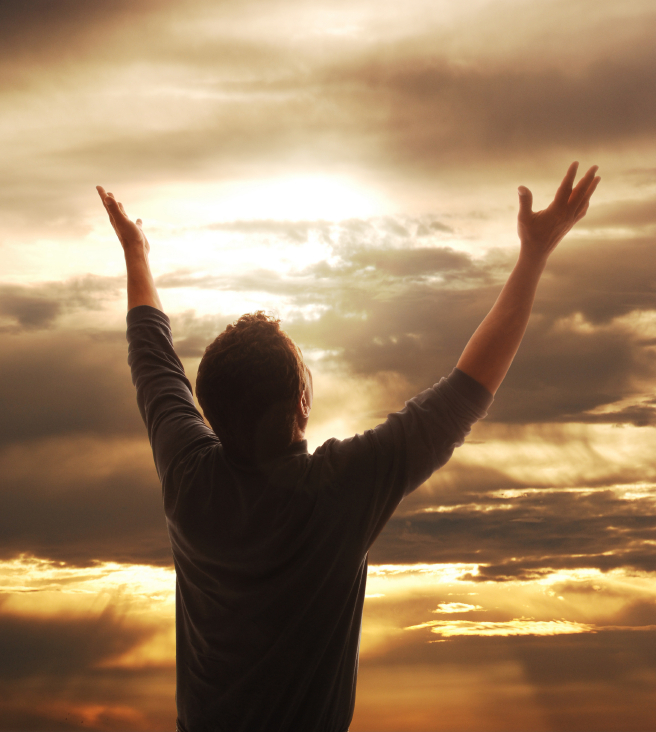 Salvation is not a reward for the good things we have done, so none of us can boast about it” (Ephesians 2.8-9, NLT). Just as those citizens of Vancouver, who, like us, all fall short of God’s glorious standard, cleaned up messes they did not make, God cleans up our messes when we trust him. When we realize we can’t clean up our own messes – our lives stained with regret and misdeed – and turn to the Lord, he will be gracious toward us and give us much more than we deserve. This week, my denomination’s annual General Assembly has been meeting. It’s a week of business and fellowship constituted by one-sixth of all the active clergy, and an equal number of elders, sent on rotation. This wasn’t “my year” to serve as a commissioner to the Assembly, but if time and travel allow, there’s a gathering that happens on the Wednesday evening of the week of Assembly that I wouldn’t ever want to miss. There’s a bunch of folks, fellow believers, who get together on that Wednesday evening each year, and my main motivation for going is laughter. We laugh a lot. The group has some very gifted story-tellers (some of whom take licence with hyperbole to a fair extent), and we spend about 5 hours catching up on the time since we were last together, and sharing stories. This past Wednesday evening was no different. And by the time I laid my head on the pillow that night, I felt like I’d had a good abdominal workout! It was wonderful. 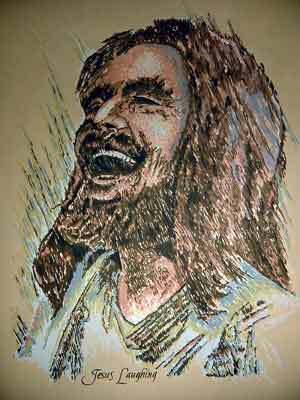 The writer of the proverb reminds us that there is a flip-side to laughter: “A cheerful heart is good medicine, but a broken spirit saps a person’s strength” (Proverbs 17.22, NLT). One way to read that is to say that if our heart is not cheerful, it can result in a broken spirit. To be sure, a cheerful heart is good medicine; the Reader’s Digest has been telling us that for years! And now we know it’s in the Bible, too! “…[B]ut a broken spirit saps a person’s strength.” Many of us have sung that song, haven’t we? Isaiah tells us that those who hope in the Lord will renew their strength (Isaiah 40.31), and the writer of the proverb tells us that a cheerful heart is good medicine. I think those two can go together. We can, and we should, enjoy cheerful hearts as we hope in the Lord. So get out there and enjoy a good laugh! God will use it to build your strength. Want to receive “Encouragement From The Word” each week in your email? Send me an email to subscribe. The second commandment tells us not to have idols. And when we think of idols, often, we think of little statues and such. But there’s more to idols than statues! To illustrate, today’s message looks at the story of the people forming a golden calf in Exodus 32.1-20. You can listen to the message, the second in the “God’s Top Ten List” series, by clicking here. you have a fish on your bumper!). These are all ways of worshipping as a lifestyle choice. perspective on Sunday. The invitation to worship that you receive will become more of a familiar call, more of a ‘comfy shoes’ feeling, because you’re being invited to do something together that you do at other times apart from the community of faith.